"My Blueberry Nights" star Norah Jones at the Paris premiere. Norah Jones in "My Blueberry Nights." Norah Jones at the New York premiere of "Wah Do Dem." Norah Jones and Jude Law at the photocall of "My Blueberry Nights" during the 60th International Cannes Film Festival. Director Wong Kar Wai, Norah Jones and Jude Law at the photocall of "My Blueberry Nights" during the 60th International Cannes Film Festival. 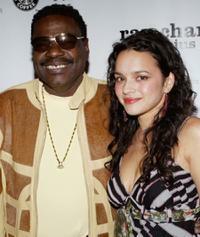 Billy Preston and Norah Jones at the "Jammin for Ray" Post-Grammy Party. Norah Jones and Jude Law at the "My Blueberry Nights" party during the 60th International Cannes Film Festival. Norah Jones at the screening of "My Blueberry Nights." Director Wong Kar Wai and Norah Jones at the screening of "My Blueberry Nights." Norah Jones at the photocall of "My Blueberry Nights" during the 60th International Cannes Film Festival. Director Kar Wai Wong and Norah Jones at the premiere of "My Blueberry Nights." Norah Jones at the photocall of "Blueberry Nights" during the 60th edition of the Cannes Film Festival. Norah Jones at the opening ceremony of the 60th edition of the Cannes Film Festival. 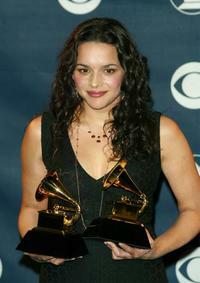 Norah Jones at the 45th Annual Grammy Awards. Norah Jones at the 2003 EMI Post Grammy Bash. Norah Jones at the dinner of "My Blueberry Nights." Norah Jones at the "My Blueberry Nights" party during the 60th International Cannes Film Festival. Norah Jones at the VH1 Big In 2002 Awards. Norah Jones at the "Jammin for Ray" Post-Grammy Party following the 47th Annual Grammy Awards. 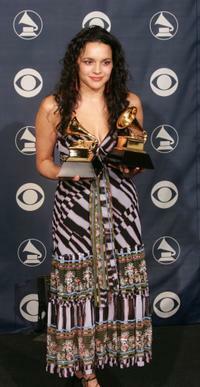 Norah Jones at the 47th Annual Grammy Awards.